Talk about over load! This Sunday is 31st Sunday in Ordinary Time (featuring the child friendly Zacchaeus story)-and All Hallows Eve. Tomorrow is All Saints Day which has the appeal of celebrating Christian heroes and heroines. Today is also Reformation Sunday (in the year of John Calvin’s 500th birthday) and it is of course Stewardship Season in many congregations. There are all sorts of connections for children. Halloween is the biggest thing on their agenda today. The Habakkuk and Psalm 119 texts provide an opportunity to explore how we face our fears trusting God. If you celebrate Reformation Sunday, talk about what a church is. And, children love hearing the familiar story of Zacchaeus read and discussed in the sanctuary. Hearing it there teaches them that this is not just a children’s Sunday School story, it is a story that is important to the whole church. Because children are into facing fears on Halloween and the current political campaigns are playing heavily on adult fears, I’m going to work with the texts for this day connecting to Halloween. Please, use the comments section to share what you are doing and suggest other possibilities. Display a not-too-scary mask (remember it doesn’t take much to scare the youngest). 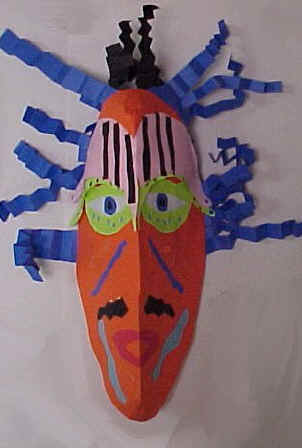 Handle it, describe how it might frighten you but then point out that it is just a mask and not all that scary. Use this as an entry to identifying the things we really fear – bullies at school, that something bad will happen to someone we love, that we will get lost, that there will be a war where we live, that we will never be able to do what we want most to do… If the children’s fears lead to talking about adult fears about jobs, the economy, world conflicts, etc. , the children learn that fear is part of life. They will then be ready to hear God’s promise to Habakkuk and us in Habakkuk 2:2-4. Suggest that everyone in the congregation hold hands because you are going to talk about scary things. Then start with Halloween-y things and progress to the violent scary parts of everyday life for people of all ages. Read Habakkuk 2:2-4 again, explaining some of its meaning related to the fears you have named. Shake hands loose or clap hands to celebrate not having to be afraid because God is with us and will not all the bad things have the last word. Have this scripture read by two readers: one reading Habakkuk’s story in 1:1-4 and 2:1-2a and the other reading God’s message in 2:2b-4. Display a large poster or some other item with an Alpha and Omega on it (maybe a stole or parament). Explain its meaning and connect it with Habakkuk’s message. Just as God was in charge at the beginning, God will be in charge at the end, so we don’t have to worry. We can trust God. The best Halloween hymn is “A Mighty Fortress is Our God.” It was written by Martin Luther while he was hiding in castle from people who wanted to kill him. Tell this brief story of its writing before singing it and encourage worshipers to watch for fear and trust words. Psalm 119 is an acrostic, that is an alphabet poem. Each line in each section starts with a word beginning with the same letter. The lines in this section start with the Hebrew letter zade/tsade (צַ). If possible show a Hebrew Bible opened to this psalm or print this passage in Hebrew in your worship bulletin and help people recognize the repeated letter. Write a psalm prayer about fear. To understand Isaiah’s message one needs detailed information about worship in Old Testament times and then connect that message to our different form of worship today. That is a tough task for children. So I would tend to use the other Old Testament texts. If you do work with this one, go straight to verses 17 and 18 with the children. They are more direct and use more familiar words. If your congregation regularly uses the language about sins as scarlet being made white as snow, this is a good chance to explain what we are saying when we say that and then to use it in the usual way. Bring something rough and deep red (even a wadded up ball of red Christmas foil) and something soft and white (maybe a white sweater or piece of white cotton). As you discuss the colors, remember that most children would prefer red over white. For them the stark difference between red (think red ribbons, Christmas, valentines..) and white (think white paper, white shirt, OK, maybe also snow, but… white is generally boring) is more important than the colors themselves. Tie the difference in the colors to the different feelings we have when we are hiding sins and when we admit them in Psalm 32. Psalm 32 in the New Revised Standard Version is a collection of words about sin used often in worship but nowhere else. So, before reading it, list the words and encourage listeners to watch for them in the psalm and in other parts of worship today. If this will be the focus of worship, give children red pencils with which to underline all the sin words they find in their printed order of worship. - People CAN possible. Zacchaeus changed. You can change. People around you can change. - The best way to deal with a troublesome person or enemy is to become a friend. We can follow Jesus’ example by eating with the lonely ones or inviting them to eat with us in the school lunch room. - Giving away money or stuff can save you (or bring happiness). Jesus said that returning the money he stole and giving half of all he had to the poor was going “to save his life.” Take time to define “save his life” to include bring happiness, peace, and a place among God’s people as well as eternal salvation. Jesus and Zacchaeus get most of the attention in this story. But the crowd is us and is worthy of our attention. To explore their responses, enlist the help of a few youth or adults. Their job is to show the crowd’s response at key points in the story using their faces and their whole bodies. At the beginning of the story, they jostle with each other with knowing smiles to keep Zacchaeus at the back of the crowd. The leader may take the role of Zaccheaus trying to get through or at least see through the crowd as he tells the story. Have a step ladder or stool for him to climb. Once he climbs it, the crowd shares satisfied smiles and maybe elbows each other to be sure everyone sees Zaccheaus up the tree. As Zaccheaus tells of Jesus’ invitation, the crowd parts and Zaccheaus comes down from the tree and past them. As he passes, the crowd shows their displeasure with arms folded across chests, frowns and silently shared grumbles. Zacchaeus moves off to the side and tells the story of his response from there. He then freezes the action, steps out of character and asks how the crowd might have responded. With demonstrations from the actors, explore options such as disbelief (Zacchaeus couldn’t change! ), disgust with Jesus for reaching out to such a sinner, or possibly amazed acceptance of what happened. It takes a minimum of three to form this crowd and can use as many as your worship space will allow. This is a great opportunity to work with a youth class preparing a story that will be meaningful to them and allowing them to become worship leaders. Rather than work with a group of actors, the preacher could use his/her own face and body to demonstrate the crowd’s reactions while talking through the story and its meaning. 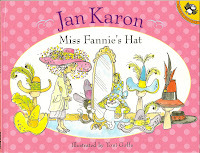 If it’s still Stewardship Season in your congregation, take a look at Miss Fannie’s Hat, by Jan Karon. 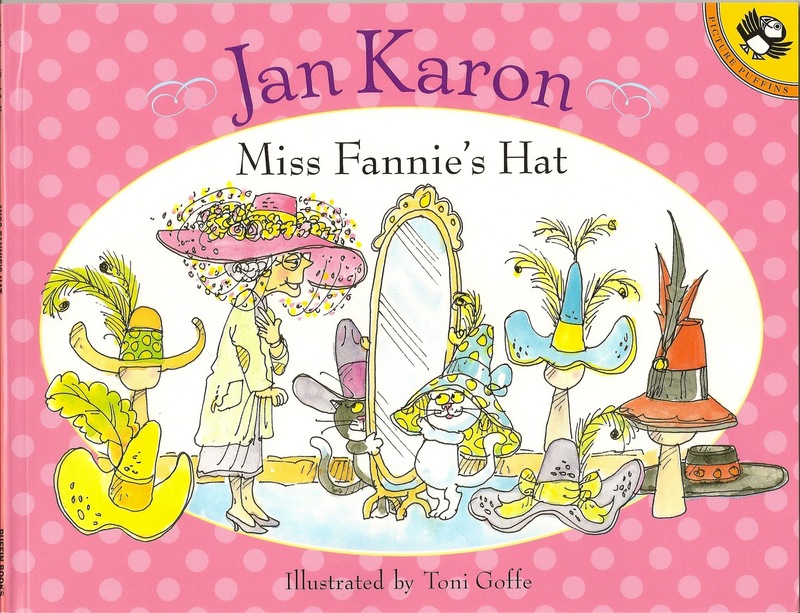 Elderly Miss Fannie gives the best of her grand collection of hats to raise money to fix up the church. When she goes to church hatless on Easter morning, she finds the church surrounded by blooming rose bushes purchased with funds from the sale of her hat. She and those all around her find great happiness in her gift. One hopes that Zacchaeus and some of the folks he refunded will share similar happiness. Carolyn, thank you so much for this blog. I just found it through text week and what a great resource! I struggle with children's sermons, but your advice to connect Habakkuk with fears and Halloween is excellent. Thank you for writing and sharing!